Staying active has no age limit. This is the same for learning how to swim! Don’t let your age stop you from learning. Swimming is an important life skill that can come in handy in many situations, such as participating in water sports, saving a life and many more. 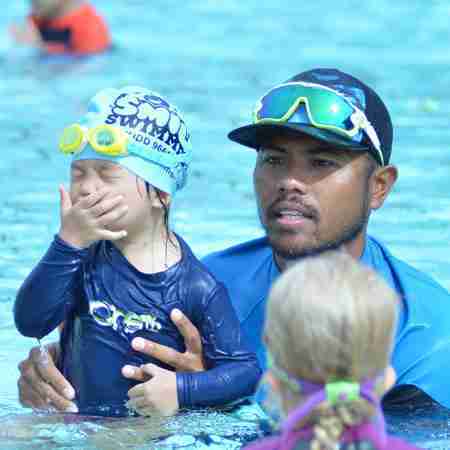 learning progress, needs and swimming proficiency. Based on your swimming proficiency, the swimming lessons will be tailored to suit you and help you achieve your goal. We employ our unique coaching system to help you pick up swimming skills efficiently. No swimming experience? No worries. At Smile Swimmers, we have lessons designed for beginners with no experience with swimming, helping you to pick up the neccessary skills and techniques. For our intermediate adult swimming lessons, it is designed for swimmers who have acquired the fundamental swimming skills and technique. This programme is to sharpen your skills and bring your skills to the next level. Are you preparing for your upcoming competitive swim or even a triathlon? Our advanced adult swimming lessons aim to help you prepare for a more challenging swim, such as open water swimming. Swimming is one of the best form of exercise to build your overall cardiovascular health and stamina. It help you builds endurance, muscle strength, maintaining a healthy heart and lungs. Learning to swim gives you the ability to survive in water. If the water is deeper than your height, and you find yourself in it, knowing how to swim could save your life or the life of others. A swim in the pool on a hot day can help you feel relaxed and physically fit. It is the perfect way to unwind after a busy day and swimming is the ideal 'feel good' exercise perfect for everyone of all ages. Unsure About Our Adult Swimming Lessons?